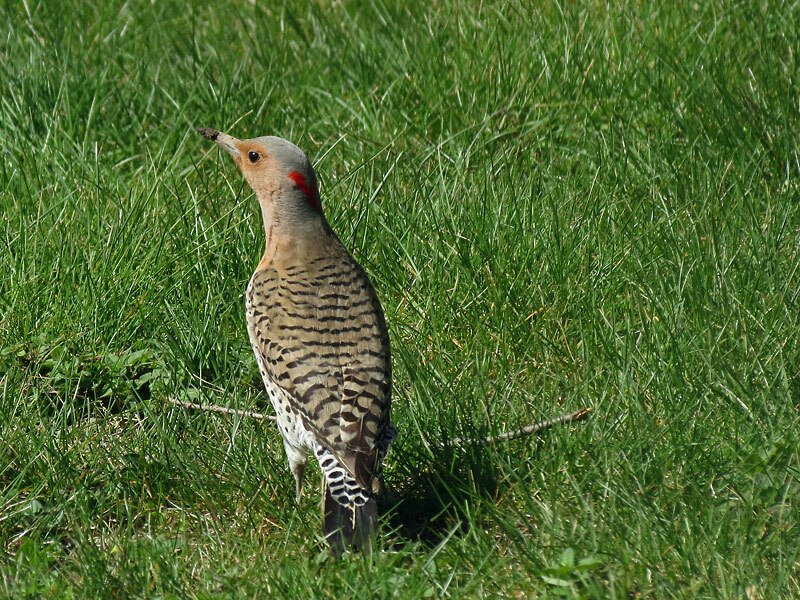 The female Common Flicker without the black mustache. I only see the Common Flicker in the Spring or Fall when they migrate, so have to be ready to photograph when first seen. They breed in Canada and Winter in Western Southern States and Mexico. Not easy to photograph. They are noted by red crescent on the nape, black patch on the neck, and with zebra-backed wings. The male has a black mustache. They like to eat ants from the cracks in the bricked pati0, as seen. 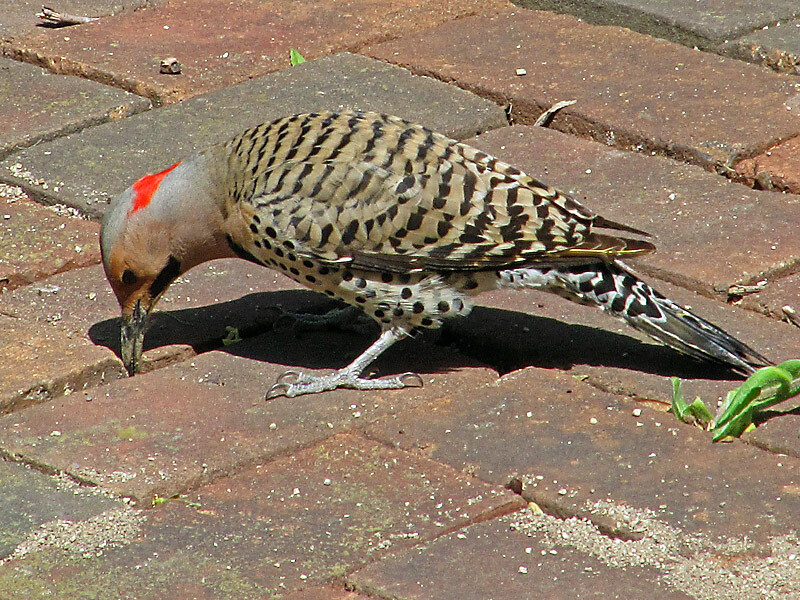 The Common Flicker is the most searched for bird on this bird website. It has been viewed each week, since it was added in July 2010.